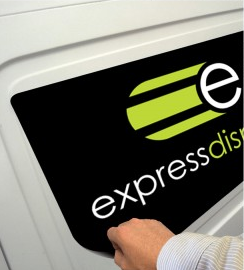 Our magnetic graphics are easy to attach to your vehicle and can be customised for your own shape and size! For custom sizes, call us to find out more. Need to brand your vehicle? Car magnets are a fantastic way of exposing your business to a wider audience while you’re on the move! If you need to change your messages frequently then these magnets are a great choice as they can be easily taken off and replaced as frequently as you need to. It also means that you can swap vehicle but keep your branding. We use a a high-tech UV process to print our car magnets, meaning that your design will be sharp and defined giving a high-quality look and feel for your business. Please note: Minimum print and order size is one square metre – this can be cut down to smaller custom dimensions if needed. Artwork size will depend on the shape and size of your chosen car magnet.